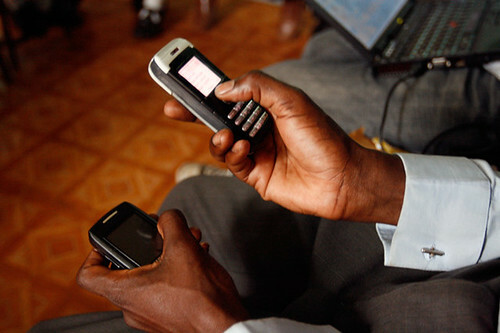 Mobile phone technologies to improve the prevention and treatment of malnutrition? “The use of mobile and wireless technologies to support the achievement of health objectives (mHealth) has the potential to transform the face of health service delivery across the globe. Supported by the Global UN Nutrition Cluster, the Harmonized Training Package for Nutrition in Emergencies mentions the use of SMS in its module related to Health Assessment (page 38 and 39). In 2011, UNICEF and Valid International undertook a “Global Mapping Review of Community-based Management of Acute Malnutrition” (with a focus on Severe Acute Malnutrition). In countries of interest, the same document suggests a review of innovative technologies to improve information flow to national level. Those include the use of Rapid SMS to improve timeliness and quality of reporting. “Many countries have started or are recommending use of Rapid SMS“, because “the large number of centres makes compilation & transmission difficult”. For this reason, moving “towards Rapid SMS to improve transmission” is crucial. the Forum on Community-based Management of Acute Malnutrition will be preparing a more detailed Technical Brief on the subject of M-health and E-health in the coming months. Feel free to contact the Forum, if you are interested in m-health & nutrition, or in any other aspect related to Community-management of Acute Malnutrition. Question: you know any other experience in this area of nutrition and m-health? Worth reporting on this blog? Please, share that: leave a comment (down here), or contact me.